“Tumescent liposuction totally by local anesthesia is about safety, finesse, gentleness, and optimal cosmetic results.” Dr Jeffrey A. Klein . Upper and lower abdomen have been treated. The after picture has been taken after four months. It can take more than six months for the skin to remodel, retract on the new shape. But you will see your laser liposuction results much sooner than that. Laser liposuction or liposuction can only treat the superficial (subcutaneous) fat. This fat is above abdominal muscles. When most of the fat is below these muscles (visceral fat), only a diet may help. This distinction between those two sort of fat and therefore the suitability for a liposuction is determined by the doctor at the first consultation. Knees are a challenging but very rewarding area to be treated. There are a lot of different small pockets of a very stubborn fat. Here the laser has a definitive great advantage over the traditional technique. It can access fibrous zones such as the knee cap and free the skin from adherence. This will lift the knee and refine the leg. Patients are very happy as they can dress as they want. (results at month seven. Click to enlarge). 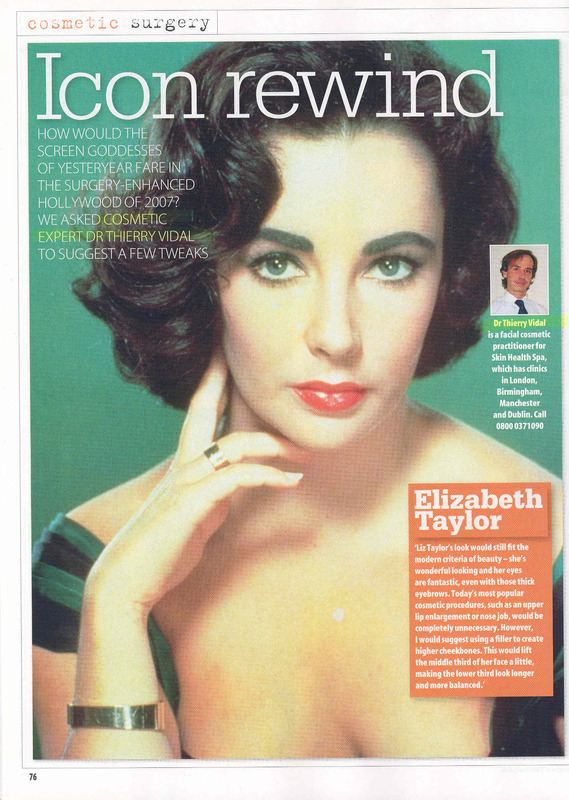 Cosmetic medicine and surgery cannot turn everyone into a supermodel but it can help patients enjoying their life. The pictures below show a patient with a very important fat deposit on the outer thighs (saddlebags) when her waist is normal. Finding proper clothing is very difficult in such a situation. It is also very difficult to “go to the gym”. The after picture has been taken after one year. This patient is extremely happy now because she lives a much better life, can dress and exercise. She is more comfortable with her body and has much more confidence in herself. (click to enlarge). Inner thighs fat pads are extremely common even with thin patients. Unlike knees this fat is readily accessible . 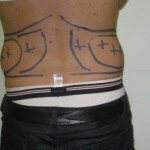 This area requires a lot of attention from the practitioner because too much fat can be removed easily. When done properly the results are amazing, not only you fit in your skinny jeans but your overall silhouette has been improved. Click on the pictures and see how the buttocks are lifted simply by treating this inner thigh area. Arms are a good indication for small fat deposits. When the skin excess is important a liposuction and an arm lift ( surgical resection of the skin excess) will be indicated. Love handles are a very good indication for both female and male patients. It gives very good results with a nice silhouette refinement. The waist is really important and it is sometimes very difficult to loose this fat excess by diet or exercise. Patients gain a lot more of comfort and confidence with a better balanced body. In the example above note how improving the waist lifts the buttocks and gives a nice curve to the back. A lot of female patients come at the consultation for their outer thighs when in fact the problem is above. In this example it is clearly visible that treating the back is a better choice. 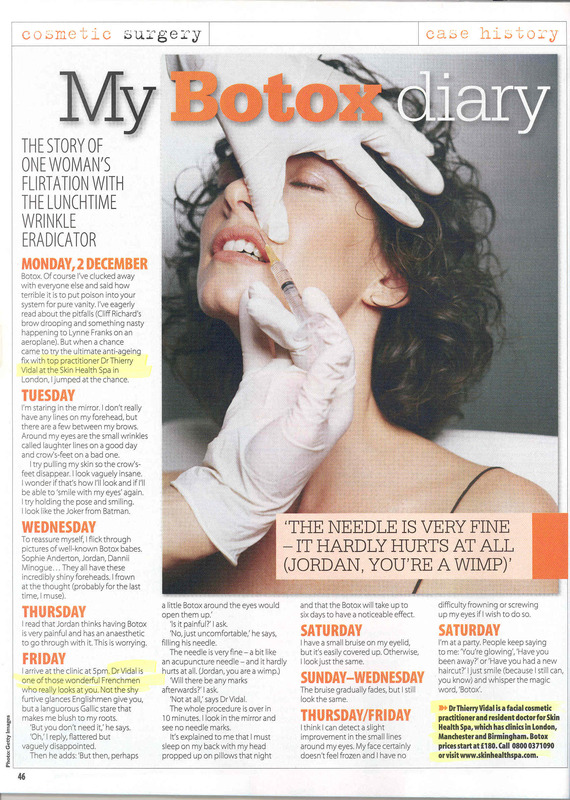 A very good result can be achieved with a laser liposuction of this area. The whole body is re-balanced and the outer thighs look actually better without having been treated. 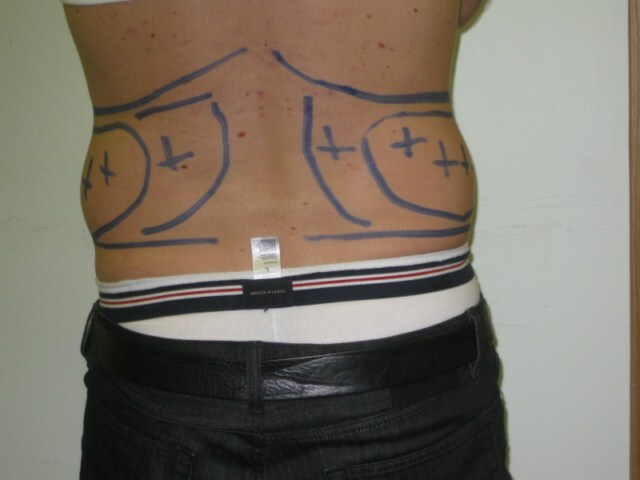 More pictures of laser liposuction for male breast on the men gynecomastia liposuction page.